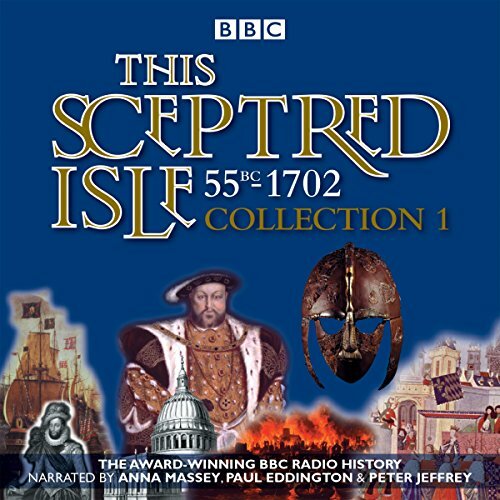 The first five volumes from the landmark BBC radio series This Sceptred Isle. From Britannia under the Romans to the Dark Ages and the invasions of Angles, Saxons, Danes, and Norwegians. The Crusades, Welsh and Scottish rebellions and the foundations of the modern state - including Magna Carta and the fledgling English Parliament. The Hundred Years' War, the Peasants' Revolt, the Wars of the Roses and the reign of Henry VIII. Elizabeth I's long reign; the Civil War, the execution of Charles I and the establishment of Cromwell as Lord Protector. The return of Charles II, the Great Plague and Great Fire of London, and a ruler from a different country on the throne: William of Orange. 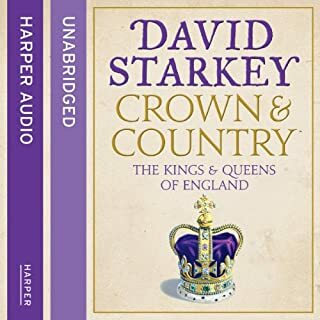 Narrated by Anna Massey, with extracts from Sir Winston Churchill's A History of the English-Speaking Peoples read by Paul Eddington and Peter Jeffrey, this is the definitive radio account of the events and personalities that have shaped our nation. Fabulous piece of work of course. orange are out of order. So it talks about Charles I, Cromwell etc then William then after that Charles II then goes back to William. This potted history of the British isles is an engaging whistle stop tour that begins with Julius Caesar landing on our shores and comes to rest as Queen Anne ascends the throne. Given the length and breadth of the subject matter and the sheer length of time it is covering, it is more of a superficial browse through the successive reigns of our kings and queens rather than a serious in depth re-telling of history. 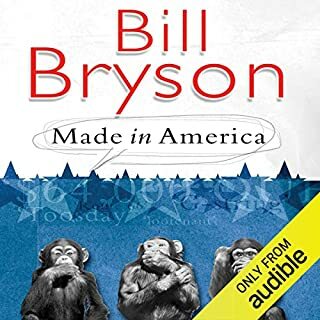 Nevertheless, it is easy listening and paints a cohesive timeline of events in very broad strokes, sometimes putting events in context and highlighting their impact in the ways that have survived to the present day. 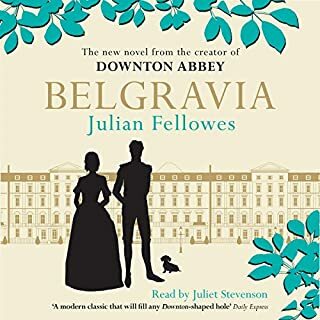 If you are an avid fan of any particular period of history, you may feel short-changed in the pencil sketch treatment of your favourite epoch, however, I defy any history buff not to be seduced by the clipped delivery of the narrators and the richness of the stories they tell. As an additional note, as you reach the restoration of Charles II you may be surprised how the narration seems to speed past him with indecent haste. There is an error in the sequencing of the episodes where the restoration segment has been incorrectly inserted into the William of Orange chapters. Wenn man eine komplette Geschichte Großbritanniens will, soll er dieses Buch kaufen. Es erklärt alle wichtige Themen ganz einfach. 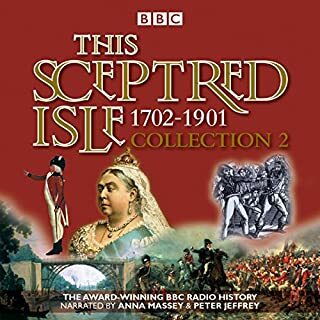 Would you listen to This Sceptred Isle: Collection 1 again? Why? Yes. I've done so on a number of times, and no doubt will do so again. It helps me remember which Henry or which Edward did what in the Middle Ages; (I've always had problems with those Kings). It is the best, most comprehensive, and interesting history of Britain, written or oral, I have possessed. One of the BBC's best ever productions. What about Anna Massey and Paul Eddington ’s performance did you like? What other book might you compare This Sceptred Isle: Collection 1 to, and why? Have you listened to any of Anna Massey and Paul Eddington ’s other performances? How does this one compare? Only that I think Paul Eddington died or was seriously ill before he could finish the whole thing. 1 Why can't I review without answering above daft questions? 2 I downloaded to play on my MP3 and was a bit surprised to find the 1688 Glorious Revolution occurring before the Restoration in 1660. I think someone put the individual episodes together in the wrong order. I'll play Part 2 on random - it might make more sense. Let down by an error in the chapter order. 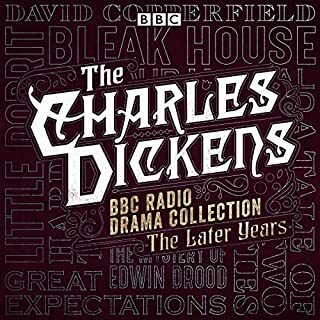 I had not heard the original radio show, but had read and greatly enjoyed Christopher Lee's books. The performances here are first class, so sad that this is let down by the errors in the chapter order towards the end. At the price charged this surely requires remedying. Fantastic series and wonderful to have it in one collection rather than the hour by hour segments. Only criticism is of the editing - the final two or so hours is out of sequence thereby spoiling the production somewhat. All you need to know about England her people politics and life makes me proud to be English ! 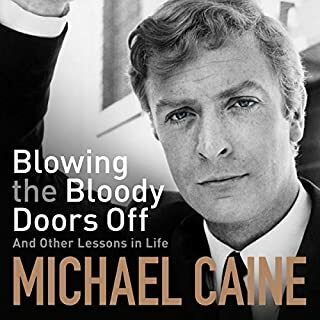 Narrated brilliantly by Anna Massey, Paul Edington to name a few. excellent. history was on radio 4. Very clear. Very easy to listen to. volume two also good.